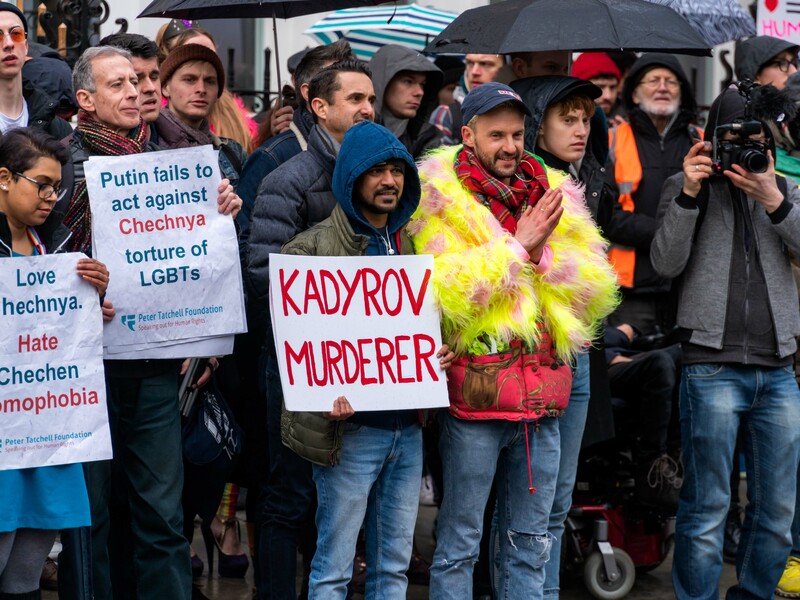 Please credit “the Peter Tatchell Foundation”for photos 1 & 2. 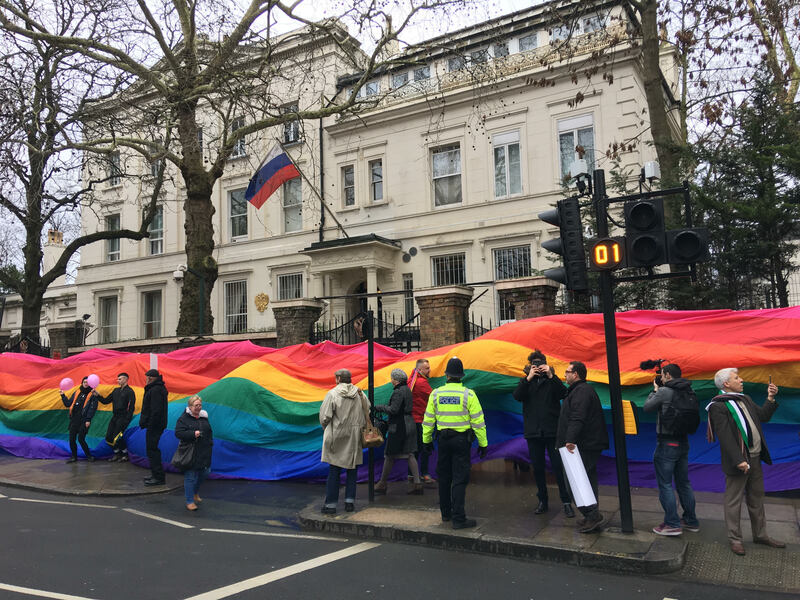 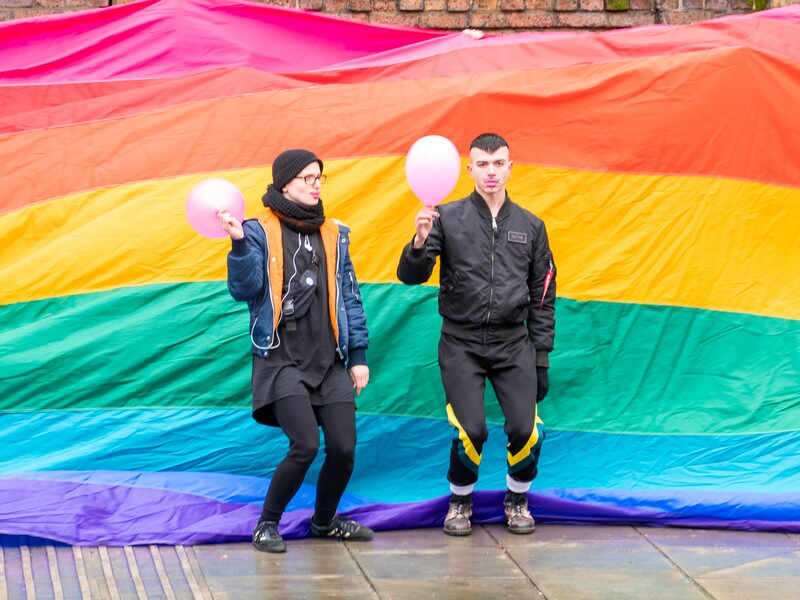 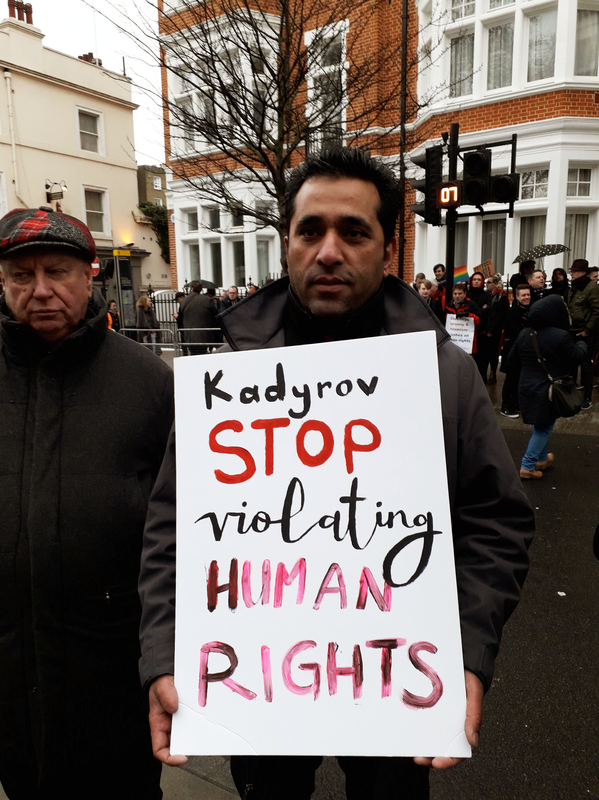 Please credit “queer power Chechnya protest – 27.1.19” for photos 3-6. 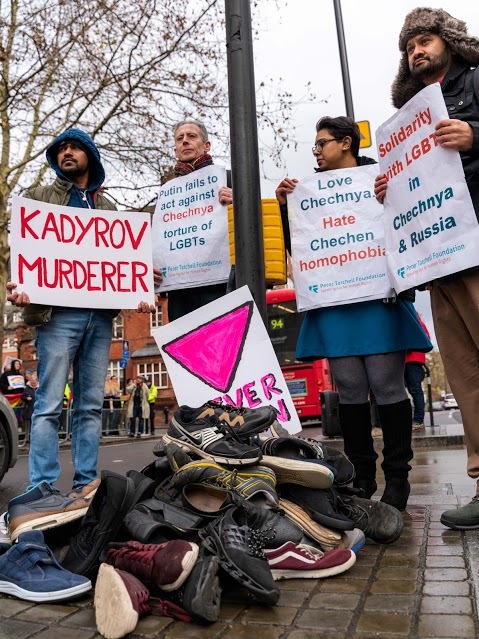 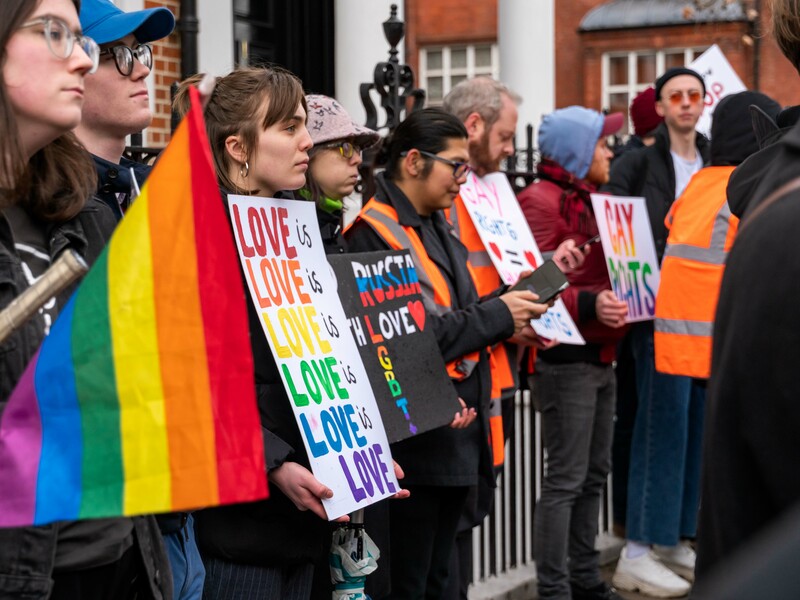 Click here to help fund the emergency evacuation of LGBT+ people in Chechnya.